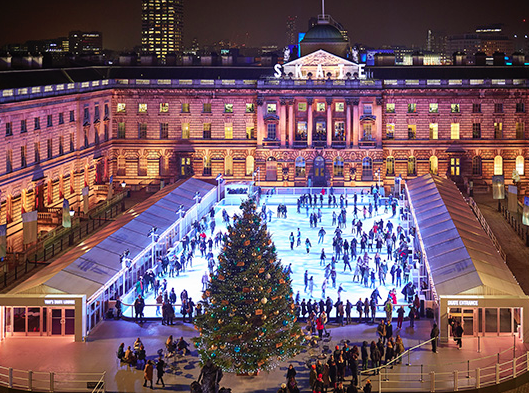 Get your skates on… for Somerset House this Christmas. Home / News and Comment / Get your skates on… for Somerset House this Christmas. If you plan to be in or near London this Christmas you might want to try ice skating at Somerset House. If so then you’ll be interested to know that tickets for the year went on sale today and you can book online by clicking here. It’s not just ice skating but also great food, drink and entertainment on offer after dark. The ice rink is operating between 18 November 2015 – 10 January 2016.